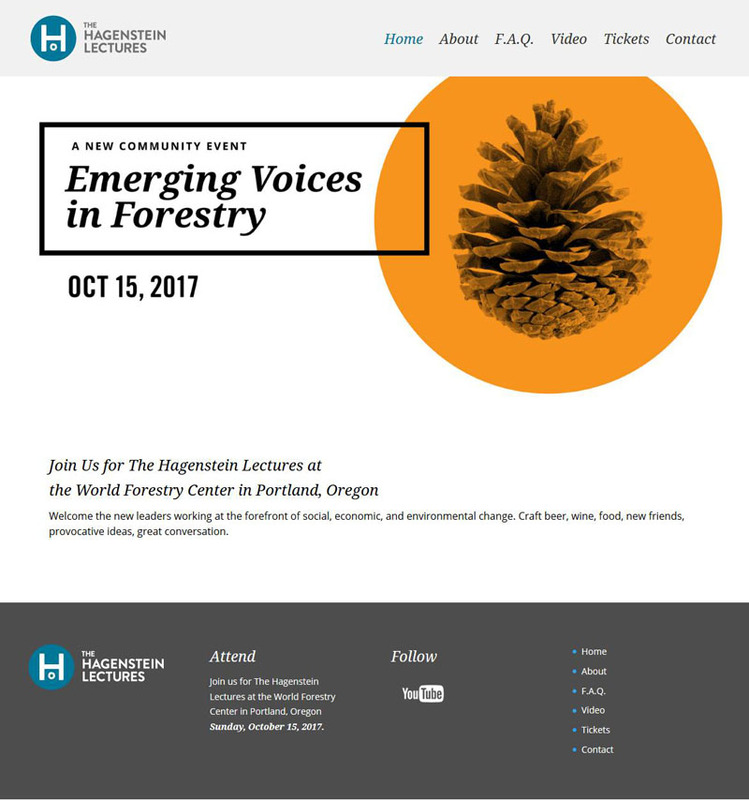 When the World Forestry Center wanted to launch a new lecture series aimed at foresters under 40, they wanted a website that was fun, fresh and flexible. The series of lectures was funded by a bequest by Bill Hagenstein, a local timber leader. This project was a fast track and we had to jump right on it. The site design came to us fully formed, so all we had to do is make it happen. Now that the event is over, the site now holds video archives of the lecture series.